On Sunday Mr Petal & Pins and I went for a drive in the picturesque Derwent Valley. We called into the historic Redlands Estate at the beautifully named place Plenty. It is home to one of two ‘paddock to bottle’ single malt whiskey distilleries in the world. Whilst we didn’t do any whiskey tasting, we did explore the pleasure gardens and enjoy a glass of wine in the afternoon sun. 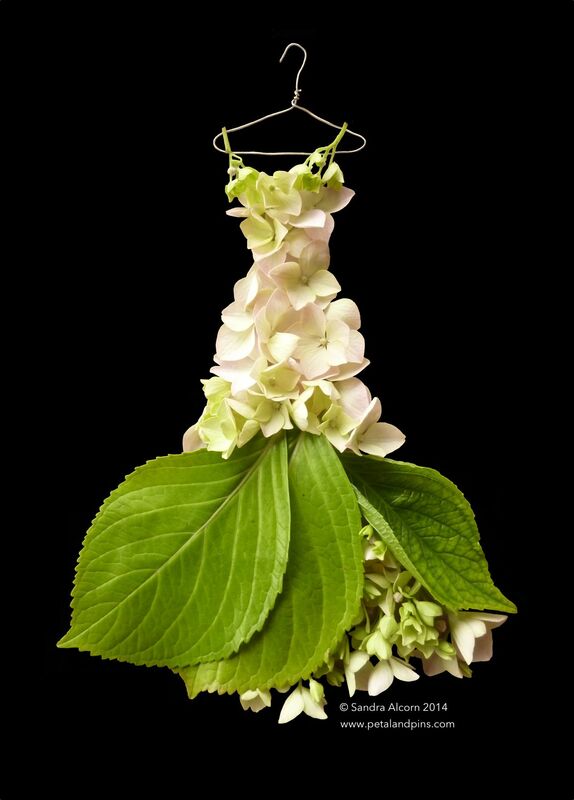 The hydrangeas were laden with blooms, as are the ones in my garden from which I created this Garden Fairy’s dress. Some people consider them old fashioned – perhaps like me they remember them growing in their grandparents garden. It was my grandmother who taught me to smash the stems and stand them in hot water to make them last longer in a vase. I’d like to re-visit Redlands Estate and see the garden in Autumn and Spring – It’s the perfect destination for a Sunday drive. Ohhhhhhh, swoon…….I wish we were there!